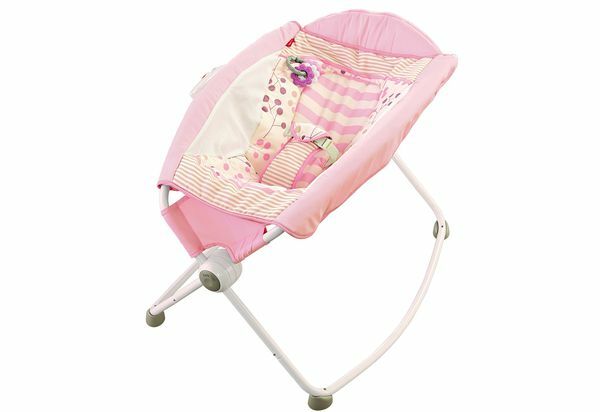 The Consumer Product Safety Commission (CPSC) and Fisher-Price have issued a warning following multiple infant deaths in the Rock 'n Play Sleeper. In it, Fisher-Price general manager Chuck Scothon reminds parents to "always place infants on their backs to sleep, and make sure that no pillows, blankets or extra padding are placed in the Rock 'n Play Sleeper". But he added that the product meets all "applicable safety standards". A spokesperson for the commission, Patty Davis, revealed that the most recent death was reported last month. In all cases, the infants were not secured with the sleeper's harness. The statement went on to say that all safety warnings are included in their products' instructions as well as online. We call on the @USCPSC to issue an immediate recall for the @FisherPrice Rock 'n Play Sleeper, which has been tied to 32 infant deaths. A baby sleeping on their stomach can much more easily choke if they regurgitate milk. We are always concerned by reports such as those we are seeing from the USA, ' the ACCC spokesperson told The Age. The most impressive part of the sequence is that Johnson then stepped up and bombed a ideal drive down the middle of the fairway. He was able to re-tee the ball and then striped his tee shot-his actual tee shot-right down the center.